From the producers of Perfect World Entertainment comes The Spazmatics. All the awesome sounds, styles, and way cool dance steps from the 1980’s decade we’d love to forget. 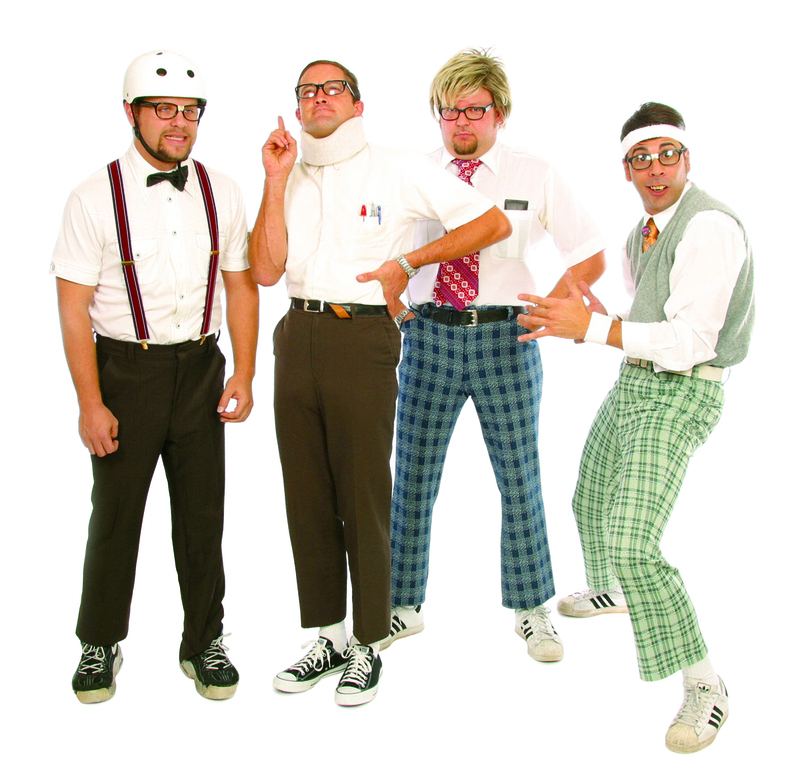 Complete with skinny ties, Brill Creamed hair, and horn-rimmed glasses, The Spazmatics recapture all the best of the worst. Outstanding musicianship combined with creative flair and style makes for an evening of pure energy and entertainment. So tonight we’re gonna party like it’s 1999; only it’s not! The Spazmatics. We stumbled upon you tonight in Pasadena, and had the best time. You guys are awesome and can’t wait to see you again. True talent, and a great show. Thank you! Pasadena Civic Plaza is always a fun show! (Rumor has it, we’ll be playing there next year as well. Woo hoo!!). Saw you guys at the show last night…YOU KILLED IT. Great job. I saw Jon Bon Jovi perform on the same stage, and I’d say your version of Livin’ On A Prayer gives him a run for his money. You’ve made in instant fan of me tonight at the Collection in Oxnard, Ca. I’ve been going to the rock concert series this summer and by far the Spazmatics are the best band yet. Thanks for reliving my youth through your music. Good to hear! Thank you Angela!